CHECKS ARE ACCEPTED, BUT THEY MUST INCLUDE YOUR PHONE NUMBER; AND PREFILL ALL AREAS EXCEPT AMOUNT SO YOUR NOT FILLING IT ALL OUT AT THE WINDOW AND HOLDING UP EVERYONE ELSE. ALL vehicles must weigh in and out regardless if a fee will be applied. Please follow our green and red traffic signals when entering and exiting the scale house. All loads are subject to a random inspection by the Weigh master and/or staff. your material upon arrival. Employee assisted unload should not be an expectation. sorted by the hauler dropped off in designated areas. with metal attached. No cloth material attached. Sortable Items with mixed material are classified as unsorted and will be charged @ $210 per ton if customer chooses not to sort according to transfer station policy. paper product) Gray Board is a Household Garbage Item. Styrofoam is considered Household trash. WHY IS UNSORTED WASTE COST SO HIGH @ $210 PER TON? produced by contractors performing new construction, remodeling or landscaping work; waste produced by households or businesses conducting one-time cleanup or construction activities of any structure. Unsorted materials that have no reuse/recycle value and not considered to be an inert material. These construction materials can potentially contain asbestos which is very hard to identify especially when loads are mixed with all types of debris. Unsorted waste is also materials that could have been sorted by the customer to its designated piles, but customer chooses not to. Construction Materials that are not inert can contaminate ground water, soil or air. The remediation of ground water, soil and air is an expensive endeavor and can become a financial burden on tax payers for millions of dollars. Therefore, unsorted materials carry a significantly higher cost when disposed of in landfills or in Construction and Demolition Pits to cover the cost of managing this waste properly and to cover any potential future cost of unforeseen contamination issues and possible required remediation. The County currently does not accept household hazardous waste. pesticides and asbestos containing materials. Teton County Idaho will reimburse up to $150/year of cost for materials taken to the Teton County Wyoming Household Hazardous Waste Disposal Facility with proper receipt submitted to the Weigh master or at the courthouse. 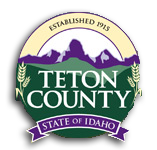 Teton County will only reimburse County Residents for these cost. To make an appointment please call: 307-733-7678. Are you bringing us your weeds? 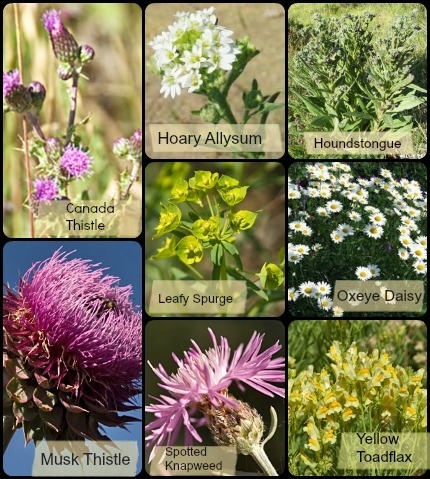 Noxious Weeds are still accepted as a Sorted item; but please make sure to keep all your Noxious Weeds separate!! You are required to remove noxious weeds from bags if you choose to bag them. Let us know if you are carrying any of these in your next load so they can be placed in a designated area!